In one of the updates being introduced soon, War Thunder will begin to implement an improved version of its “Dagor Engine 4.0”. In our previous Devblogs we showed you the Physically Based Rendering and advanced destructible environment technology which is being introduced. Different materials such as wood, earth, leaves, metal, stone etc. look more natural with the new rendering - by virtue of complex calculations of light reflecting from different surfaces, which makes vehicles and the ingame environment look even more realistic. 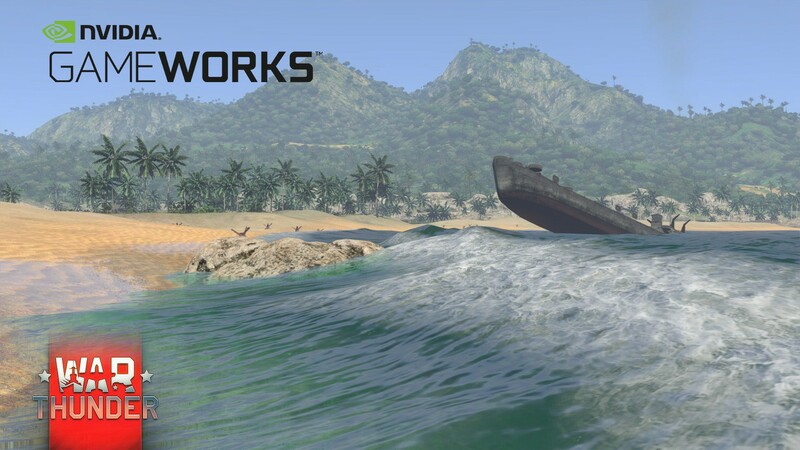 Another part of the improved engine is the integration of NVIDIA GameWorks technologies. War Thunder’s quest for increased realism is further enhanced with the introduction of larger destructible objects to the game: wall fragments, ruins, large structures and entire buildings will all react to in-game ballistic physics. Players now have the ability to destroy an enemy’s cover or create new firing positions, changing the dynamics of tank battles. 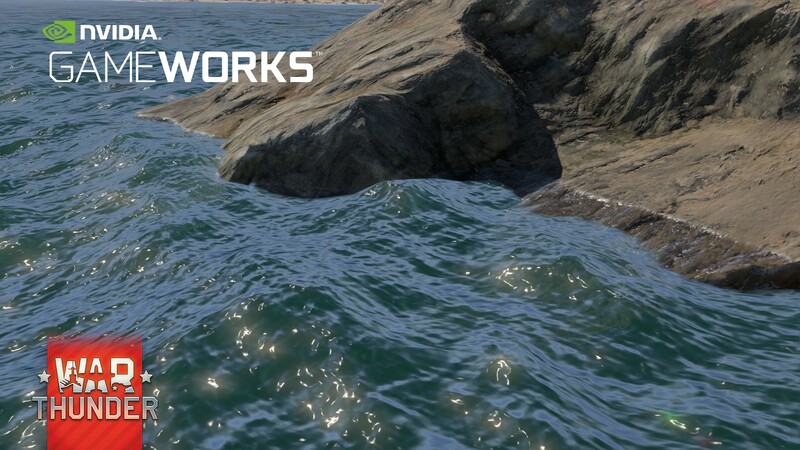 Also, the inclusion of NVIDIA Waveworks technology will generate incredibly realistic waves and foam effects for oceans, seas, rivers and lakes which will also factor in wind strength and direction. An interesting fact is that this technology provides water surfaces the ability to interact with other game objects and players. The developers are putting a lot of effort into the optimization of all the graphical improvements. New technologies affect gameplay so they should work on all the supported platforms and configurations. If someone destroys the wall it should disappear for all players in a battle. The same can be said for realistic waves - they do not only look amazing but also interfere with sea planes when landing or taking off. 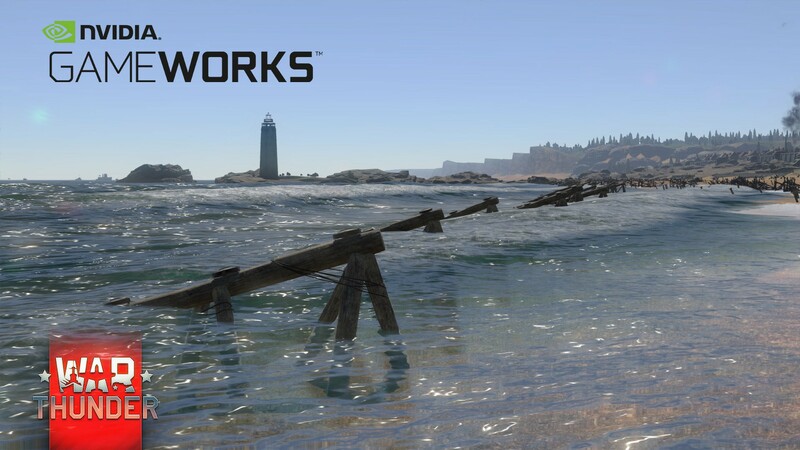 We are proud that the NVIDIA Gameworks technologies in War Thunder will be available for all users, even those with low-end computers whatever platform they are operating on.